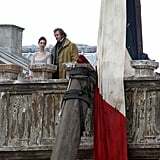 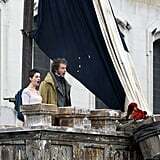 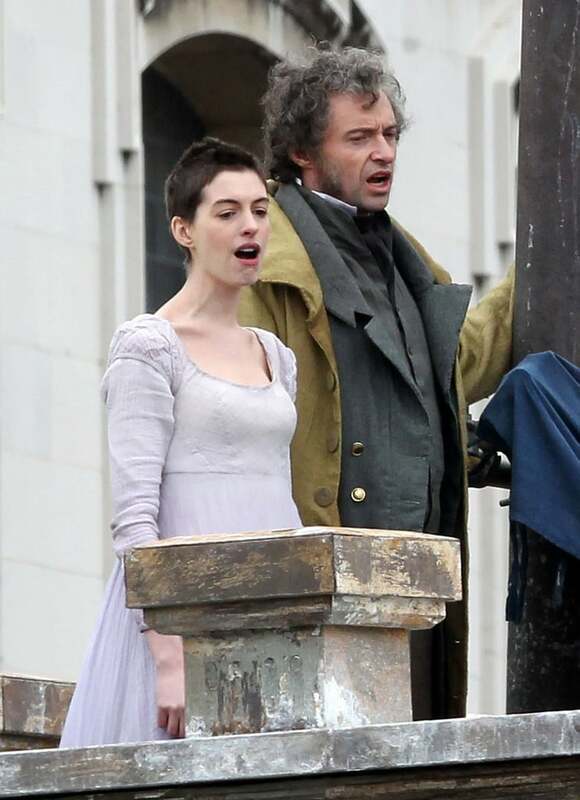 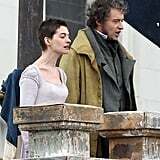 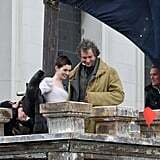 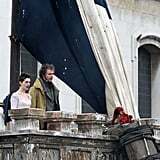 Anne Hathaway was in character as Fantine as she shot Les Misérables with Hugh Jackman in London yesterday. 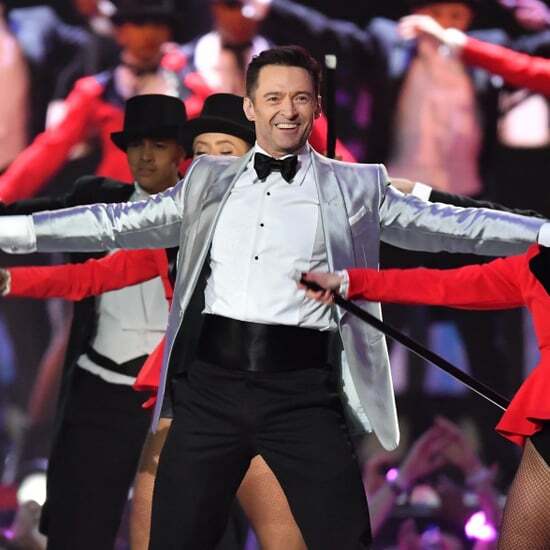 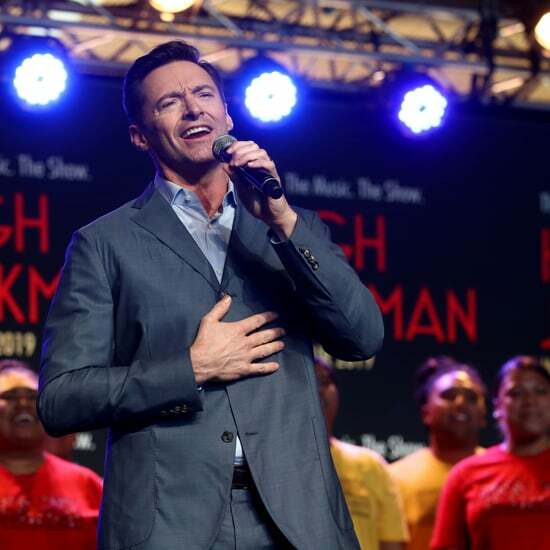 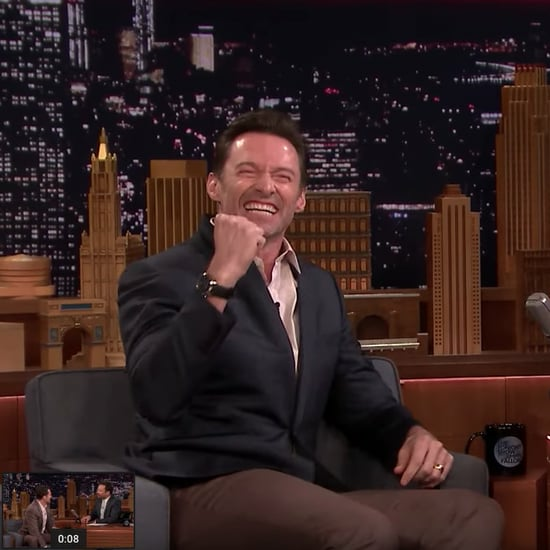 The pair are teaming up on the big-screen adaptation of the Broadway hit, which required them both to undergo physical transformations. 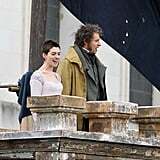 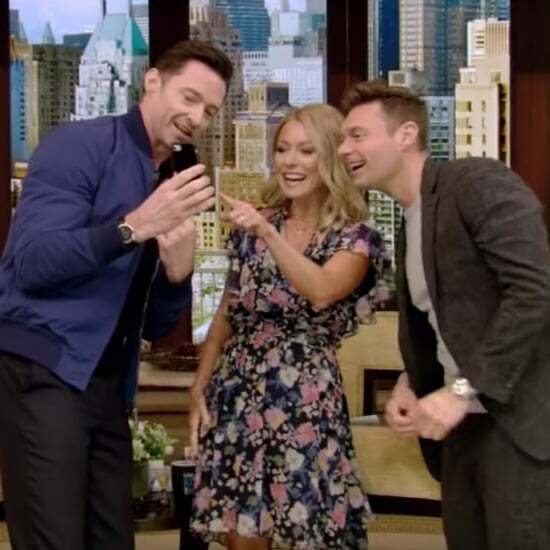 Anne cut her hair into a choppy pixie cut, while Hugh has previously been seen sporting a bushy beard and a buzz cut as Jean Valjean on the set. 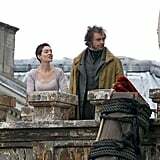 Yesterday, however, he had a head full of gray-tinged curls as he and Anne sang from the rooftops. 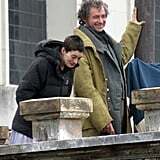 Between takes, Anne bundled up in a parka and shared a few laughs with her costar. 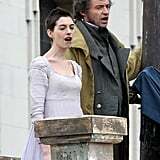 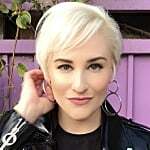 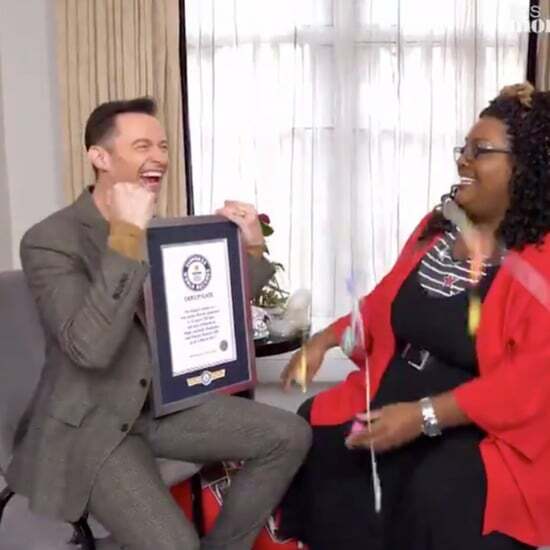 Les Misérables boasts several boldfaced names, including Hugh, Anne, and Sacha Baron-Cohen, but it was stage actress and Hollywood newcomer Samantha Banks who landed the role of Epione. 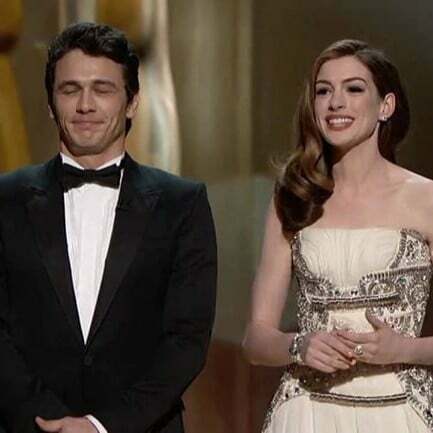 The part was a hotly contested one, with Taylor Swift and Lea Michele both said to be in the running during the casting process.